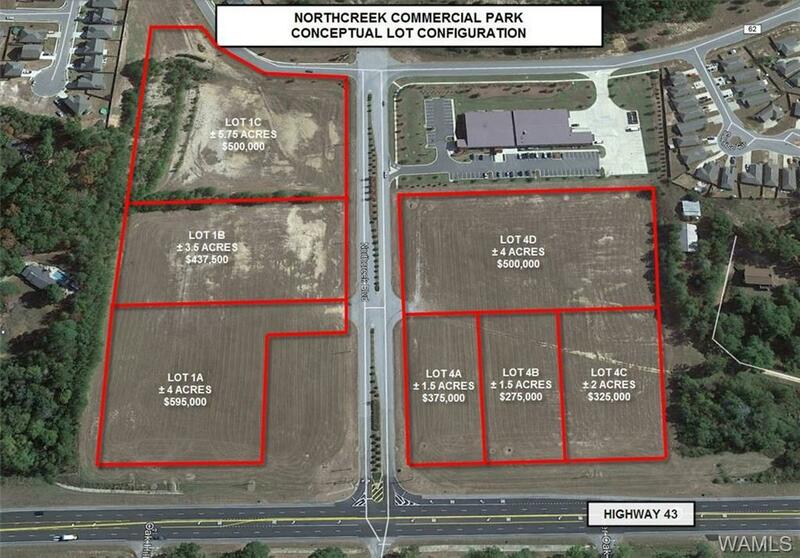 1.5+/- Acres of Commercial Land with frontage on HWY 43N and at the intersection of Hwy 43N & Northcreek Blvd./Union Chapel Rd. Property is flat and graded with all utilities in Northcreek Blvd ROW. Traffic Count of 18,000 VPD. Call agents for surveys, conceptual plat maps and further information.